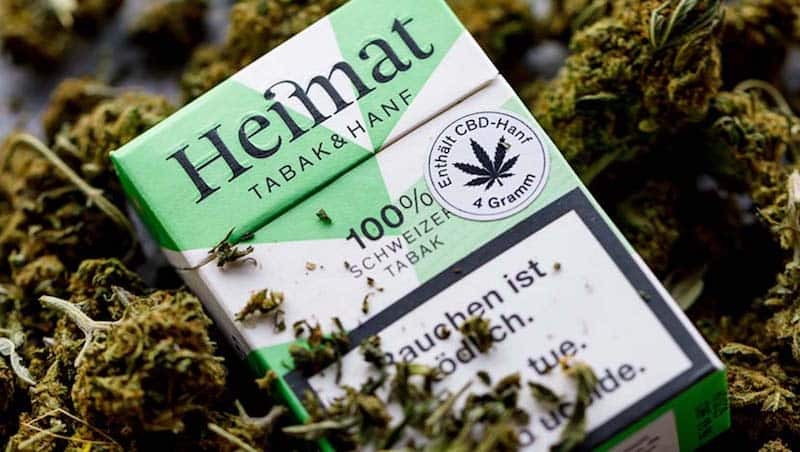 Next week, smokers in Switzerland will be able to elevate themselves with Heimat cannabis cigarettes that will be able to be purchased from supermarkets. 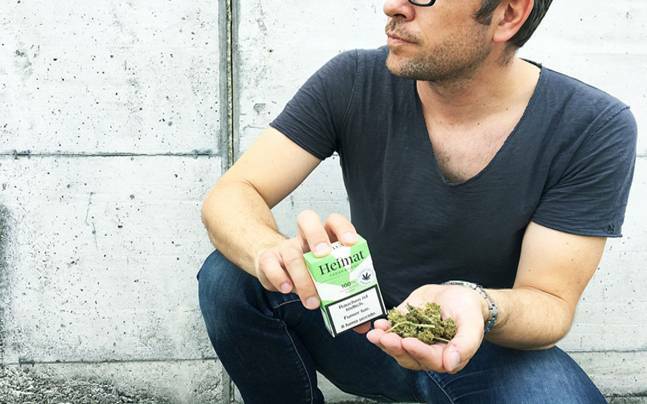 Beginning on July 24, supermarkets in Switzerland will be selling what has been called the first “hemp cigarette” in the world, which is made by an independent cigarette maker called Heimat. The Swiss company, which is known for its tobacco products, is entering the fledgling cannabis market. But, due to Switzerland’s cannabis laws (that saw the herb legalized cannabis in 2011), products can only have up to 1 percent of THC. That means Heimat only has the ability to sell CBD, which is why the brand is first focusing on 20 percent CBD joints (said to be the right amount of cannabinoid to be beneficial), with each pack costing around twenty bucks. the natural tobacco-and-hemp blend develops a bouquet of mild, sweet and spicy aromas when smoked, exuding the unmistakable scent of cannabis. The cigarettes will contain the legally permissible amount of THC, which is just one percent, but each cigarette will have “an extremely high proportion of cannabidiol, a substance attributed with a range of different positive effects.” Of course, cannabidiol (aka CBD) is known to help relieve pain, anxiety and various other ailments and conditions. While the joints will also be sold on the Heimat website, the big news is that the cigarettes will be available in Coop supermarkets, which is one of Switzerland’s largest retail and wholesale companies. A spokesperson for Coop stated that the supermarket chain already sells other hemp-based products, which includes tea, beer, and oil, adding that “the products are in high demand.” It makes sense, since, according to one news outlet, an estimated 100 million Francs per year – which is just over 100 million dollars in real money. While there are plans to decriminalize the consumption and production of cannabis for personal use, the Swiss no longer have to worry about facing a criminal charge, so long as it’s ten grams or less (and is still punishable by a fine of 100 Francs). Heimat also warned that while the CBD product is legal in Switzerland, those who buy the product should not attempt to do so when traveling abroad, but that is just common sense.